You've learned the basics of metal jewelry fabrication and want to expand upon that knowledge but a busy schedule keeps you from committing to a 6-week course. Or, you just prefer a short, intensive metal jewelry class. If either of these describes you, then this 5-day class is the place to be! 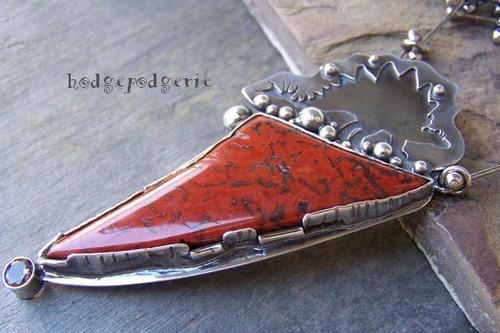 This comprehensive metalsmithing class is designed to introduce the fundamentals of jewelry design and execution. Design elements and thinking outside-the-box will be covered in detail. You'll focus on honing your existing skills while learning a few new ones and the quality execution of those skills. 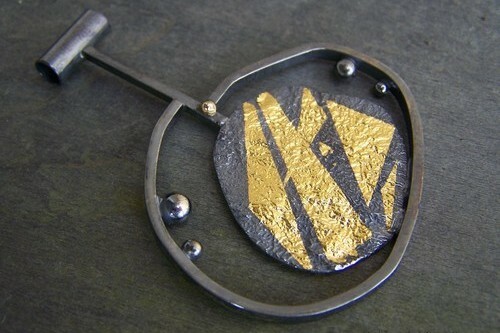 Students will concentrate on bezel and stone setting skills, hinges and finish work and also an introduction to the ancient art of Keum-Boo, the application of fusing precious metal foil such as 24 karat gold to silver. 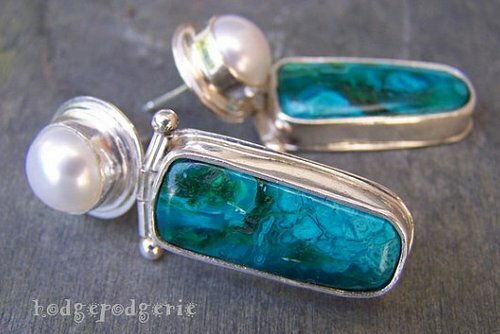 As you learn the proper techniques to help you build a strong foundation in the metal jewelry arts, you'll make fun and unique jewelry such as pendants, cuffs, rings and earrings. You'll also take home a full-color information-packed booklet complete with tutorials for the week's projects. 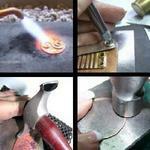 Students must be comfortable with a jewelry torch and have a good foundation in basic soldering and jewelry fabrication. A complete tool list will be sent a week prior to camp in case you wish to use your own. However, all tools used during the week will be available for you to borrow during the camp, so there's nothing to buy except an apron and a Sharpie marker with your name on it! In addition to the camp fee, a $120 Material Fee includes all materials and is paid directly to the instructor. 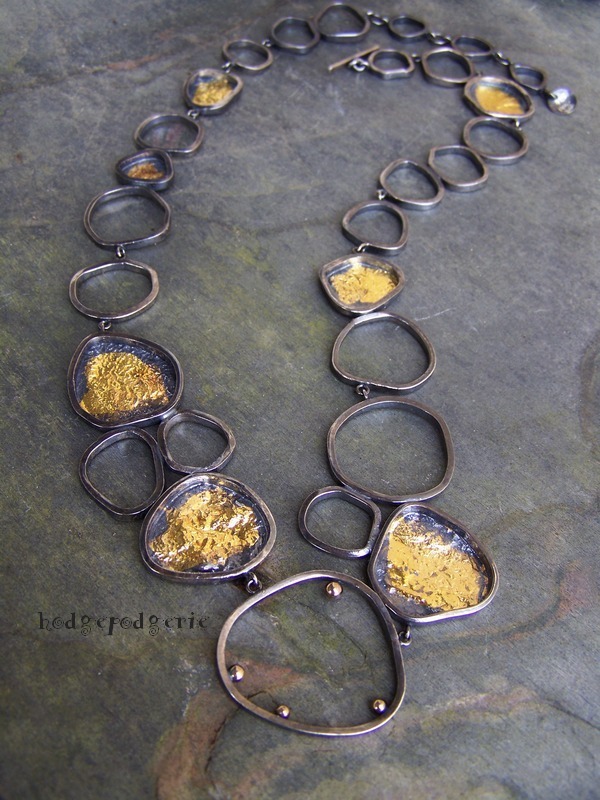 "I've learned more in Stacy's camp than any other jewelry class I've ever taken." Click on the image below for a schedule of upcoming classes and workshops. Click on the image below to visit our jewelry supply store. Click on the image below to visit our tutorials page. Copyright © 2017 - hodgepodgerie. All Rights Reserved. No part of this website may be copied or reproduced without the express written approval of hodgepodgerie.